I can already feel the gradual change in the seasons as the days are getting longer and the thermometer is trending towards warmer temperatures. I’m reminded of new beginnings and the excitement in what’s to come. The birds are chirping and springtime flowers are beginning to emerge as nature is waking up from its winter rest. This year, let’s harness that springtime energy and begin a new healthy habit. It’s time to head back out to the great outdoors--dust off our bikes, schedule a softball game with some friends, start your garden or simply take an afternoon walk on the more than 480 miles of trails that are a part of DuPage County. Discuss the medical and psychological issues impacting obesity prevention and treatment and how behavior modification and other modalities can impact healthy lifestyle choices. Review the current obesity rates at the national, state and local levels and discuss the areas impacting obesity in DuPage County for prevention and treatment. Identify useful tools and methods to impact behavior change to improve healthy lifestyle choices for successful weight management. FORWARD Day at the DuPage County Fair : Mark your calendars for our 2nd Annual “Get in the Action” Day at the DuPage County Fair on Wednesday, July, 25, 2018 . Over 10,000 people are expected to visit the fair and FORWARD will once again assist with offering healthier food and physical activity options. Free tickets will be available for every child in Kindergarten-8th grade in DuPage County. 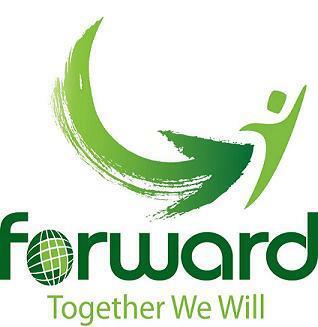 FORWARD is looking for partners to provide interactive games and healthy nutritional opportunities geared towards kids and families with a focus on healthy lifestyles. If you would like to partner with FORWARD or would like more information on this year's Get in the Action Day , please contact Tonia Batogowski at toniabato@gmail.com . Get Moving with FORWARD : FORWARD is dedicated to improving healthy lifestyle choices for residents. We do this by focusing resources and strategies where children and adults spend the bulk of their time. If you are interested in helping to make the healthy choice the easy choice for DuPage residents, please consider getting more involved with one of FORWARD’s strategies--Healthy Schools, Worksite Wellness, Healthy Municipalities and/or Healthy Early Childcare. Contact Tonia Batogowski at toniabato@gmail.com . It may not be pool season yet, but these warmer months give you tons of excuses to get outside and enjoy a new beginning. All of us at FORWARD wish you a safe and happy Spring! Celebrate the seasonal wonders of Spears Woods and devote time for your wellbeing during Tuesday morning Shinrin-Yoku walks. Develop a connection with Spear Woods, a unique Midwest treasure with a diverse habitat that has been very well restored and is ecologically rich. Join Ellyn, The Resiliency Institute's Bioregional Herbalism instructor, as she shares her journey and lessons learned restoring 2 acres of woodlands/wetland. Meet the many native high-value medicinal and edible plants she has introduced, several of these will be in bloom at this time. Rejuvenate yourself with forest yoga walks by stepping outside and away from electronics to connect with nature, quiet the mind, and reduce stress. Walks will begin with a brief ecological overview of the area, continue with invitations to deepen connection to nature and self, then conclude with a tea ceremony of locally harvested plants. Throughout the walk we will pause to tune our bodies to our surroundings with yoga postures. This webinar is geared toward those interested in learning about pieces need to successfully implement the model. Click here to register. Up to $2 million dollars in grants are expected to be awarded to organizations through this program. Click here for more information. Want to make a difference in your community? It's amazing the impact just one hour of your time at a garden build can make for a family who relies on food pantries and wants to grow food at home. Register today. Attend a three course dinner followed by a program and inspirational video in support of the Conservation Foundation's mission. There will be a nature-themed silent auction, a cash raffle and a wall of wine. Register now. Shop the native plant sale featuring a fabulous selection of beautiful native perennials, trees and shrubs from Natural Communities Native Plants, all in time for the spring planting season. Shop now! Together with the College of DuPage Early Childhood Academic Program, the YMCA will off this free community event to celebrate as a part of a national initiative to improve the health and well-being of kids. Click here for more information. This event is open to everyone from seasoned runners to individuals completing their very first race. The Event is about promoting a healthy lifestyle and being active with your family, friends and community. Register now. Fight back against the silent killer, high blood pressure. Reduce your risk for developing a stroke, heart attack or heart failure. Join Check. To learn more or to register today contact Katie Sivak at 630.547.2022 or ksivak@ryallymaca.org . Show your schools support for student health and wellness. Help make Illinois the most active state during this week long event. To learn more click here . Stress, Hormones and Belly Fat? Looking for a different approach? Come to this workshop to learn how functional medicine will get to the root of the problem. Click here to register. This webinar will share strategies for working with and educating patients on pre-diabetes. It will also feature information on Prevent Diabetes STAT (Screen, Test, Act Today™). For more information or to register, click here . Join up to 300 bicycle advocates, planners, engineers, agency staff and others for a day of learning and networking. To learn more click here . High school students in the Chicago region are encouraged to apply for this week-long summer program on urban planning. Click here to apply. Join hundreds of community and government leaders to learn about new policies, programs and innovations to address hunger. Click here to register. The AARP Community Challenge funds projects that build momentum for local change to improve livability for all residents. Apply for a "quick-action" grant to make communities livable for people of all ages. Click here to apply now. The events will be hosted by the Illinois Department of Public Health and the Illinois Health and Hospital Association. Click here to get the latest information. Learn how to take part in this exciting program. Participating schools feature a different local food that students love to eat. Keep watch for the link in May here . The Illinois Health and Hospital Association, AgeOptions and the Illinois Department of Public Health are offering two opportunities for federally qualified health centers, hospitals, health departments and community organizations to become recognized providers of DSMP. Click here to register now. This training is based on the PreventT2 curriculum developed by the Center for Disease Control and Prevention. Register before May 1. Come spend some time at McDonald Farm this summer and discover the wonders of nature through crafts, stories, garden snacks and hands-on fun. For pricing, information on additional scheduled sessions or to register, c lick here . 5-4-3-2-1 Go! Is a public education message with recommendations for children and families to promote a healthy lifestyle. For helpful resources and ideas on how to incorporate this message in your DuPage County organization click here . Help market FORWARD! Do you know of an upcoming event or health fair in DuPage County? We have marketing materials available for our coalition members. Please contact us if you are interested in distributing health and wellness materials at an upcoming event. Call us at 630.221.7550 or email healthpromotions@dupagehealth.org .